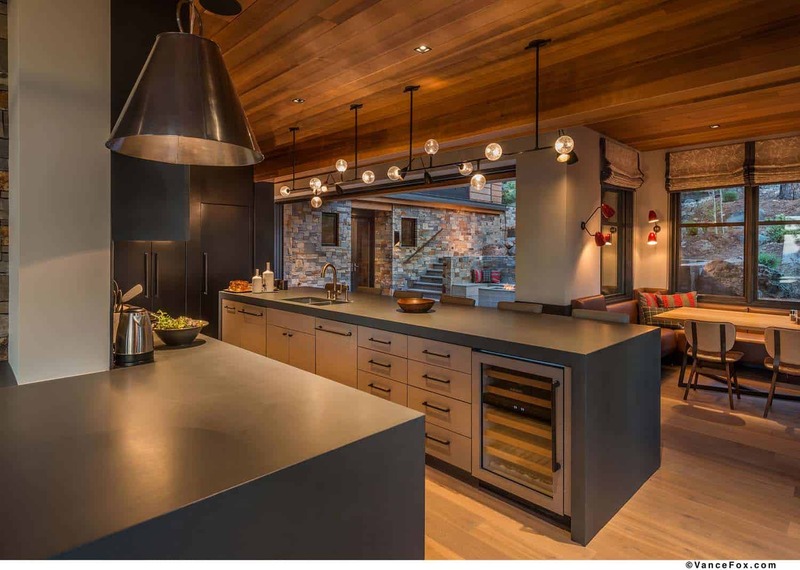 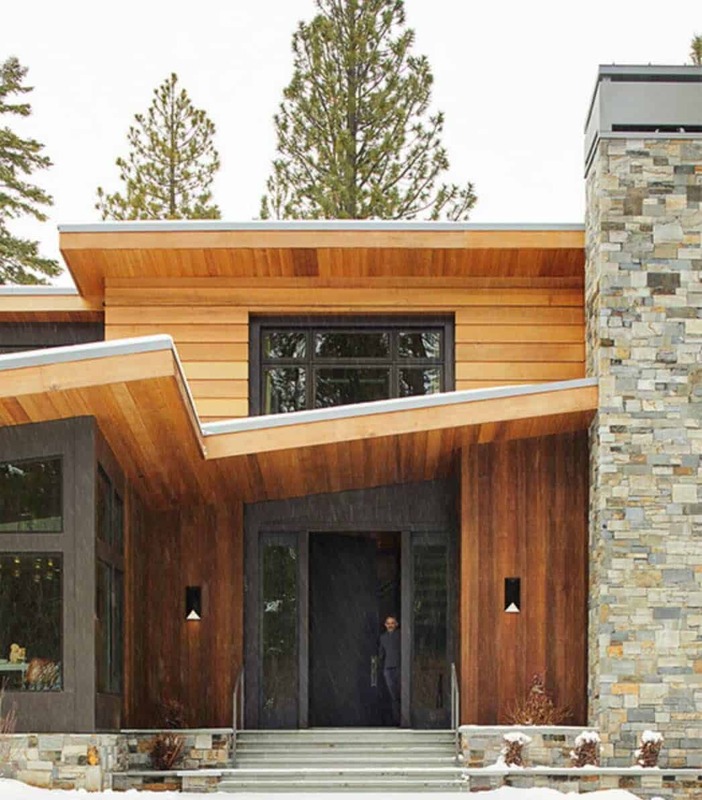 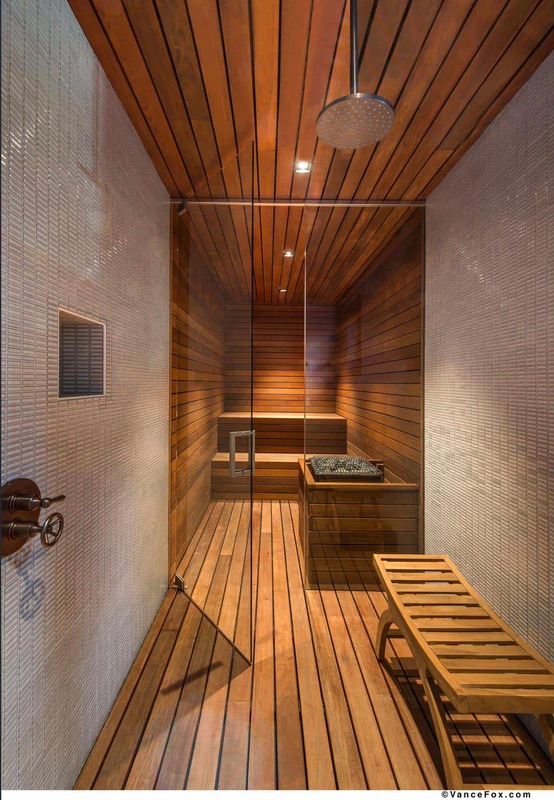 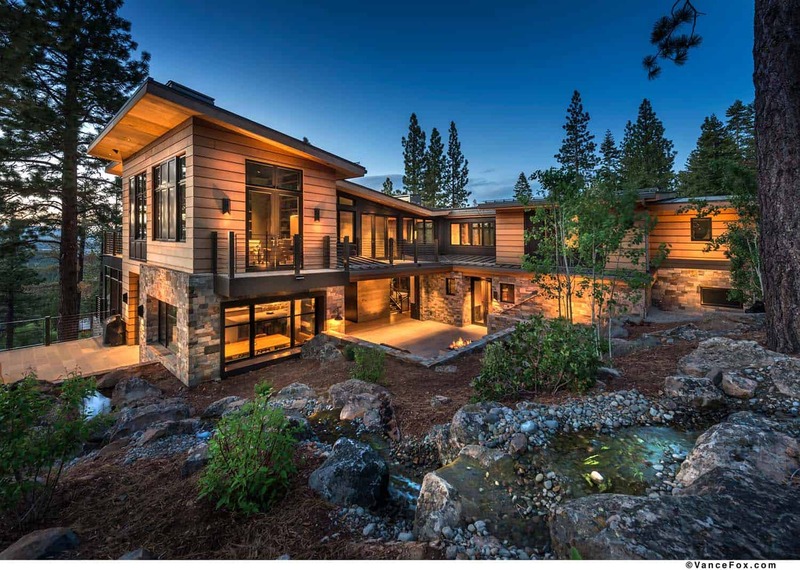 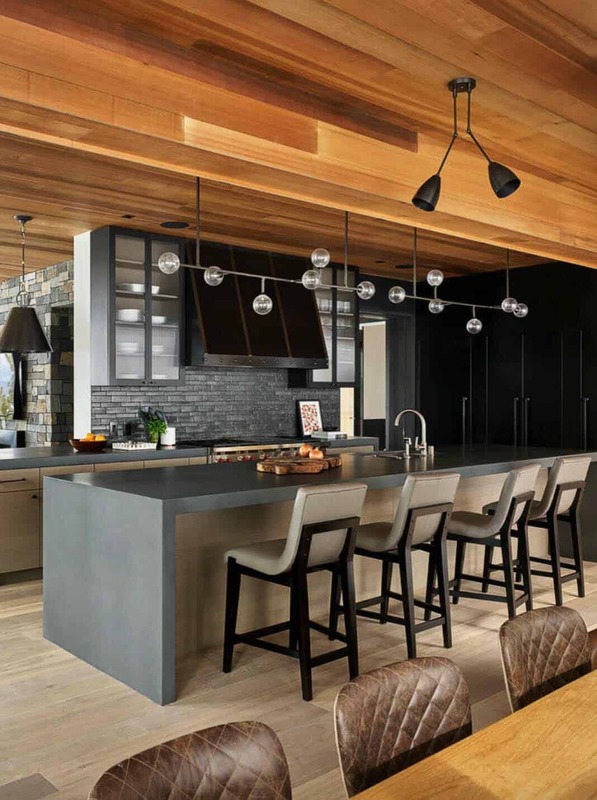 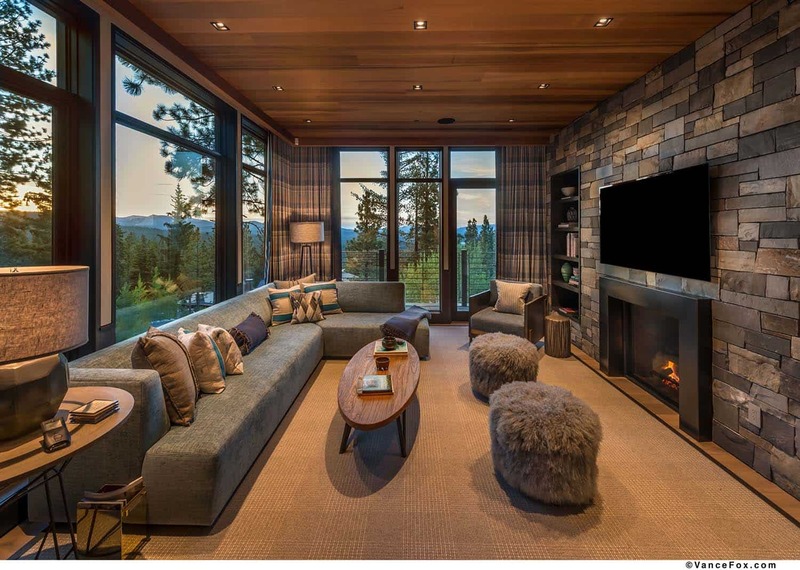 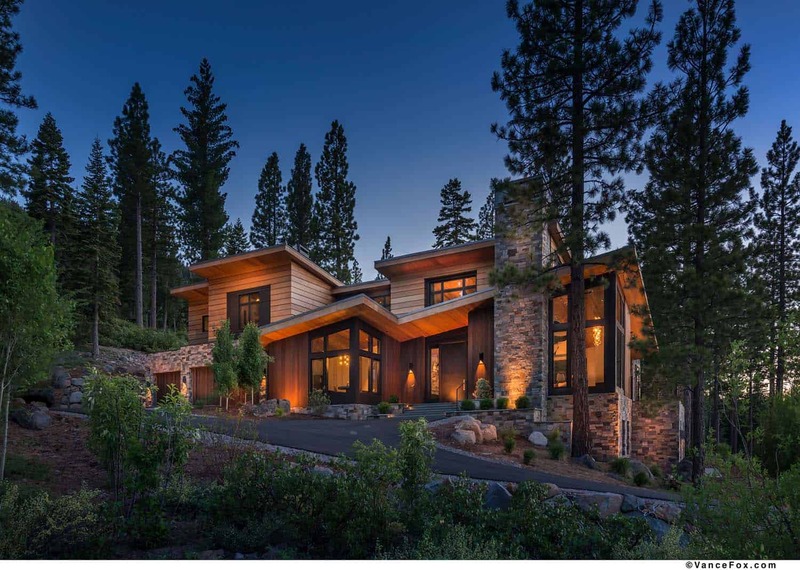 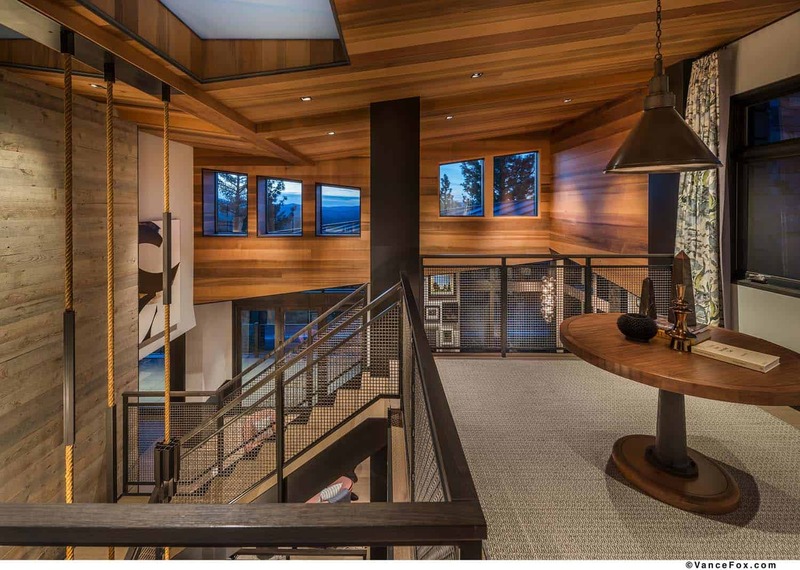 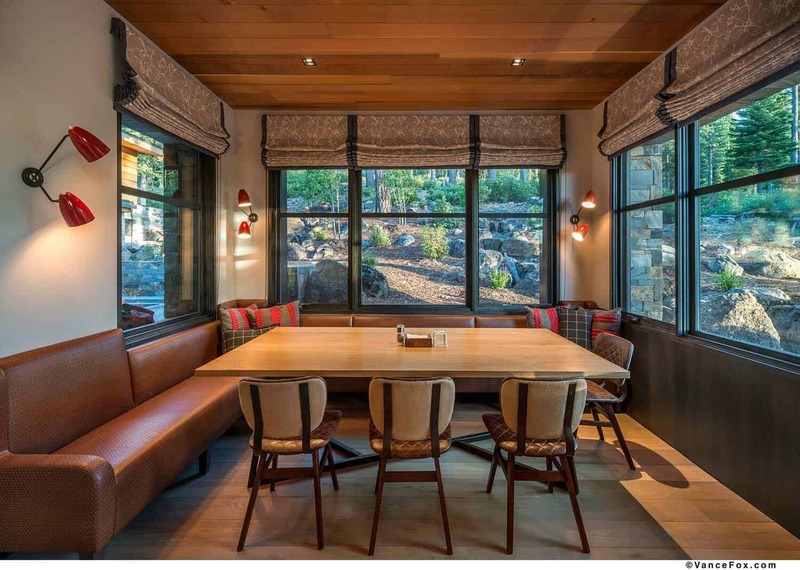 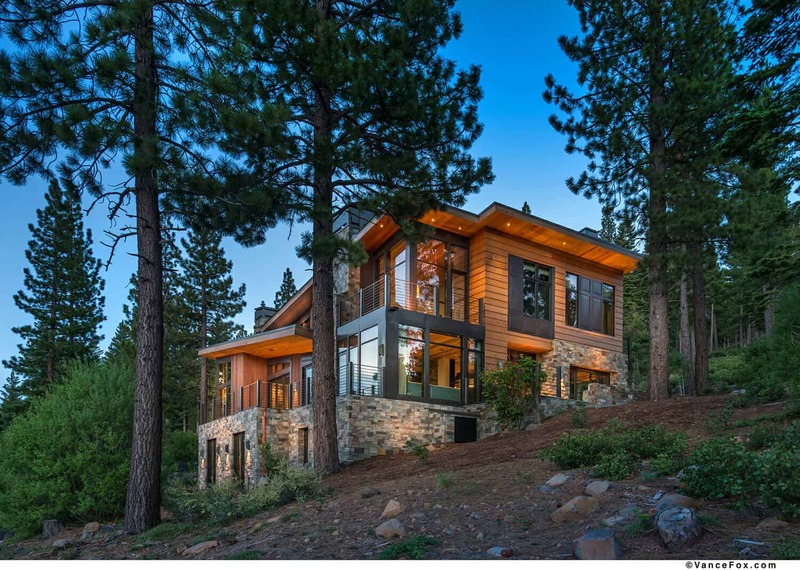 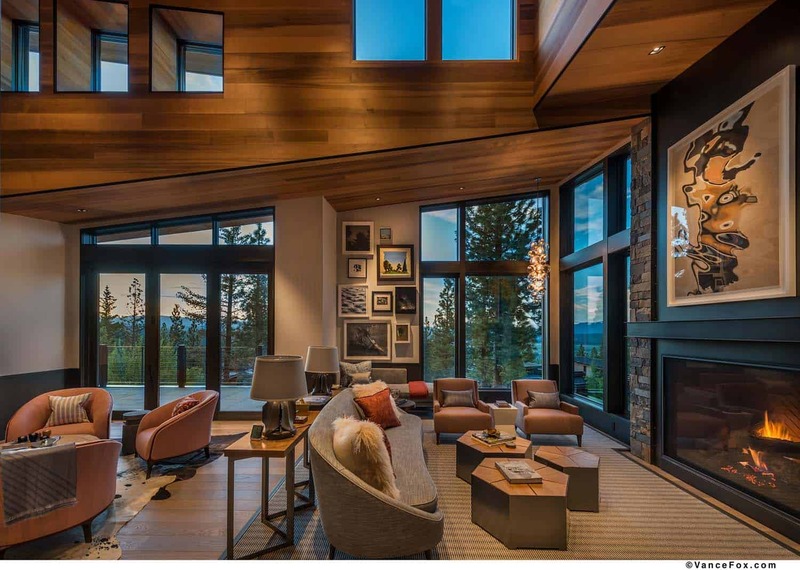 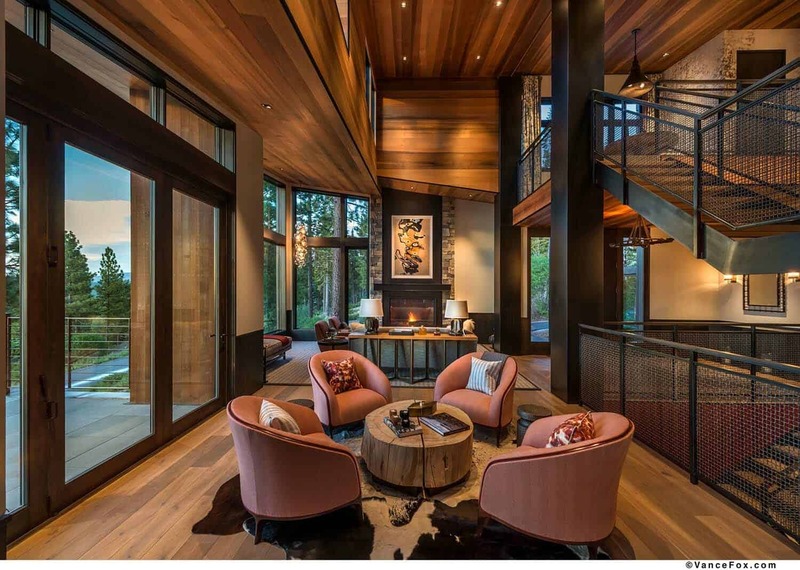 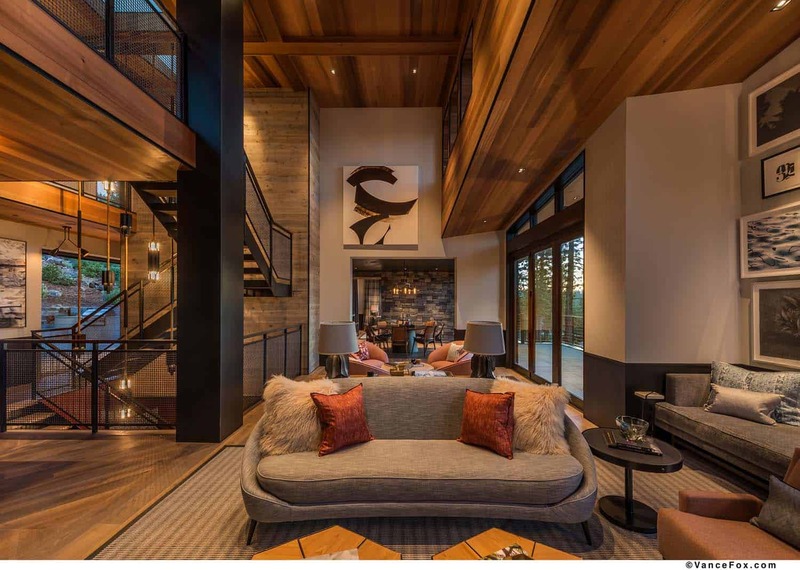 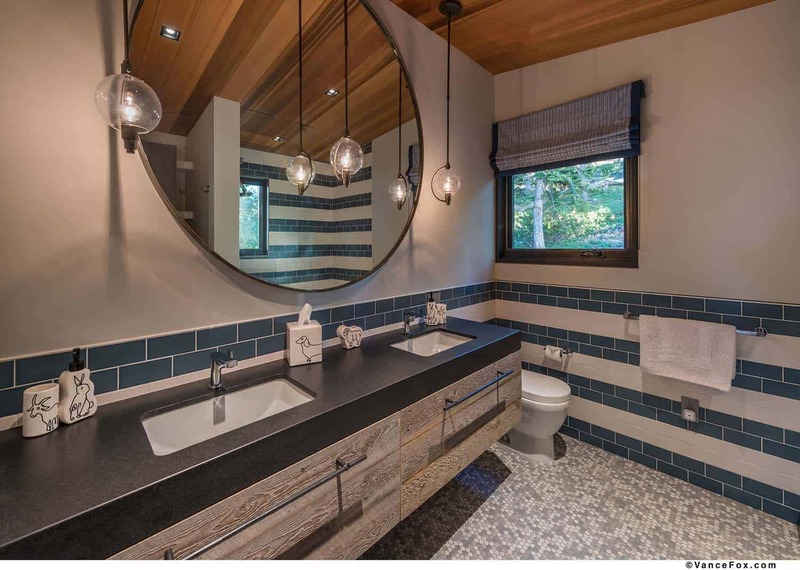 This contemporary mountain retreat was designed by Geiszler Architects in collaboration with JayJeffers Studio, located in Martis Camp, Truckee, California. 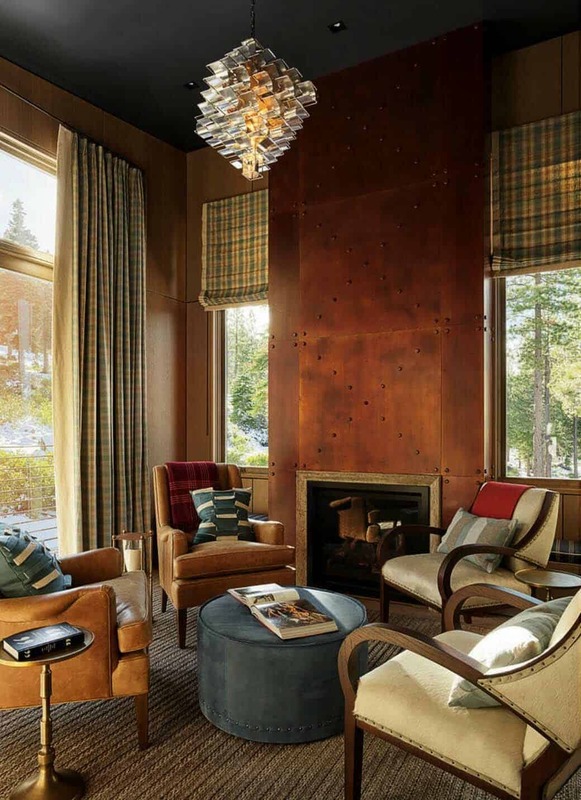 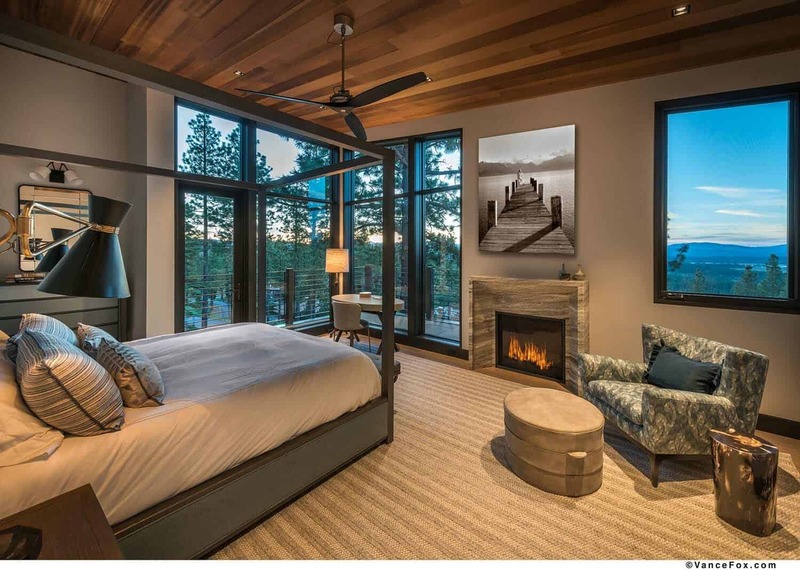 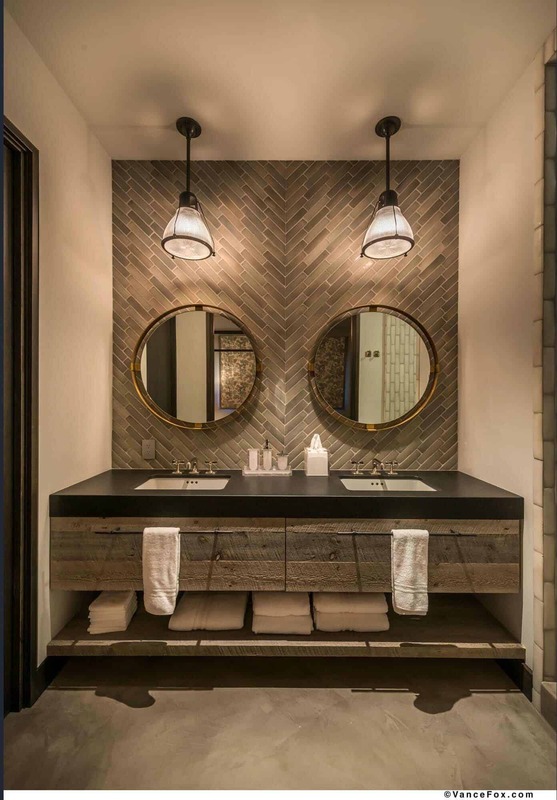 Martis Camp is a private luxury community spread across 2,177 forested acres, ideally positioned between Truckee and North Lake Tahoe. 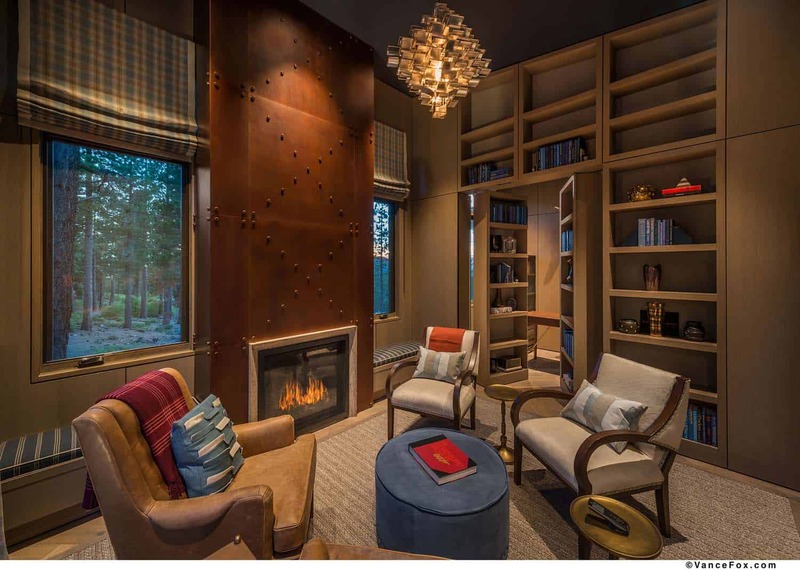 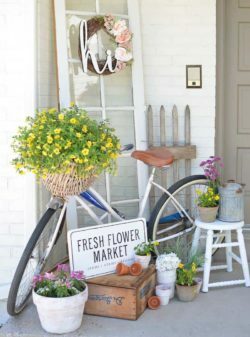 This community is the ultimate year-round destination for homeowners to enjoy both activities and relaxation. 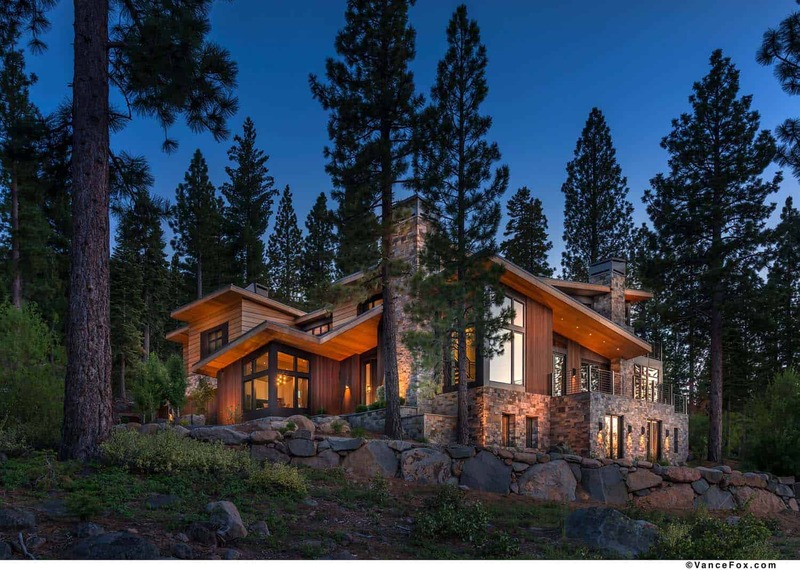 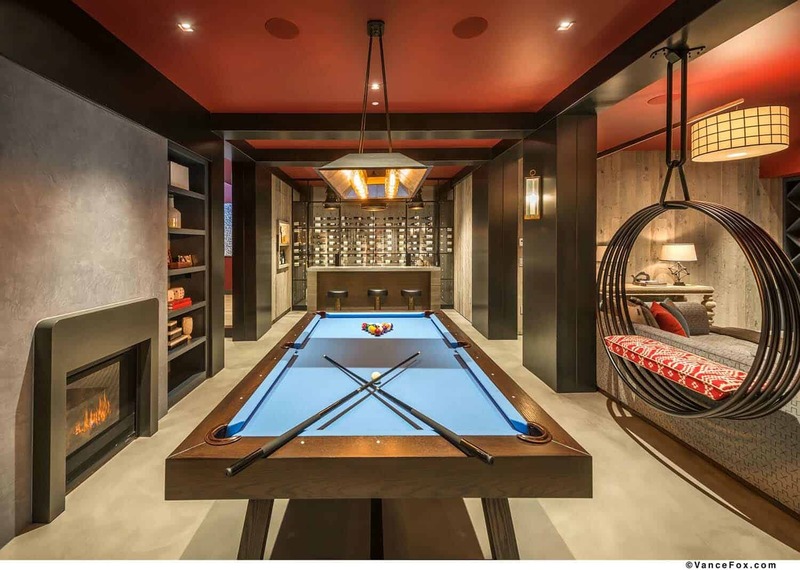 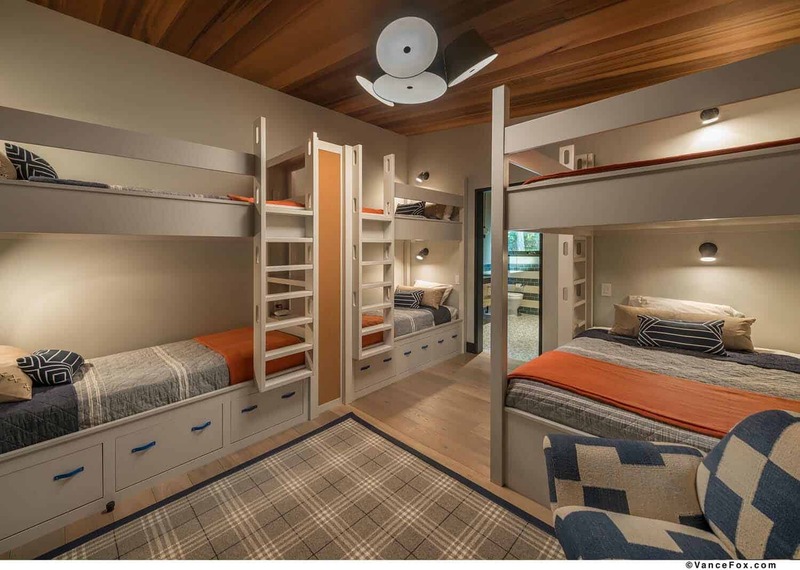 This custom designed mountain retreat boasts almost 7,000 square feet of living space with four bedrooms and two half bathrooms. 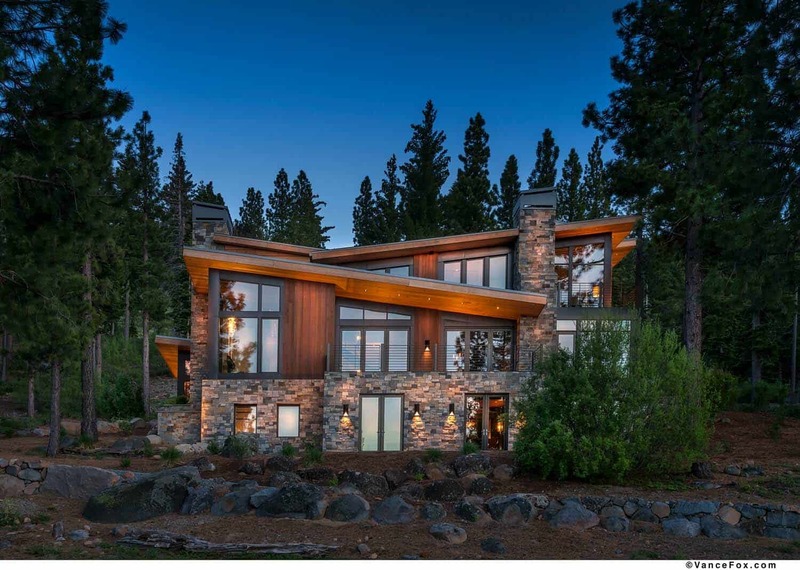 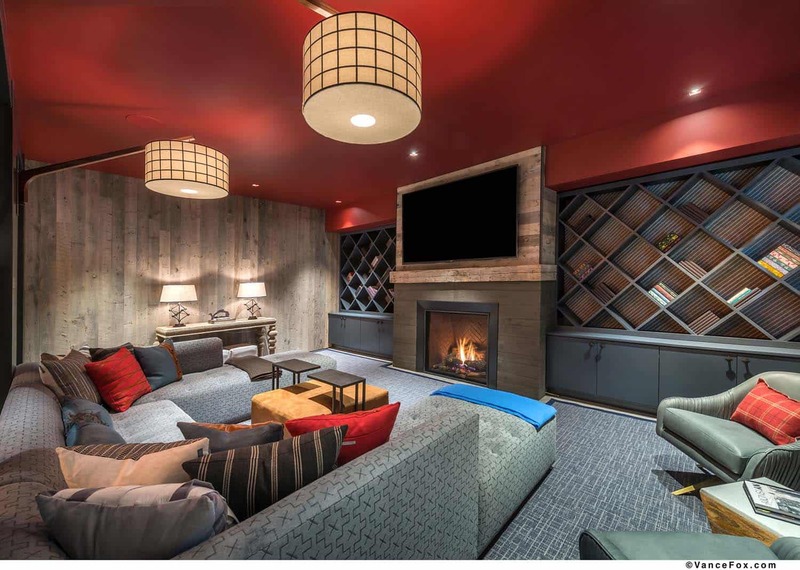 Set in one of the highest estate lots in the Martis Camp community, the backyard offers panoramic views of the Martis Valley and a chairlift to Northstar Ski Resort’s Lookout Mountain, creating easy access to skiing all day. 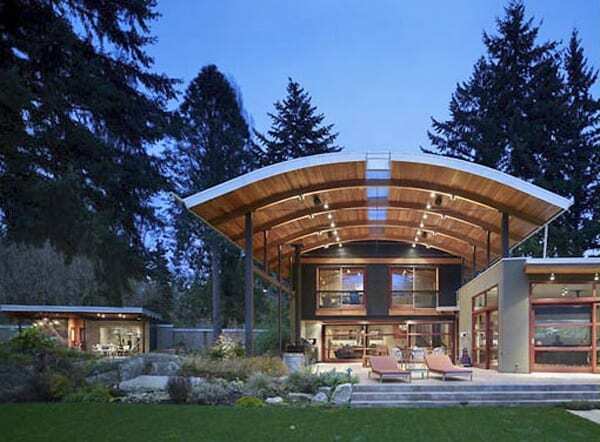 The modern architecture features rich lines with its butterfly roof angles, and impressive custom steal throughout. 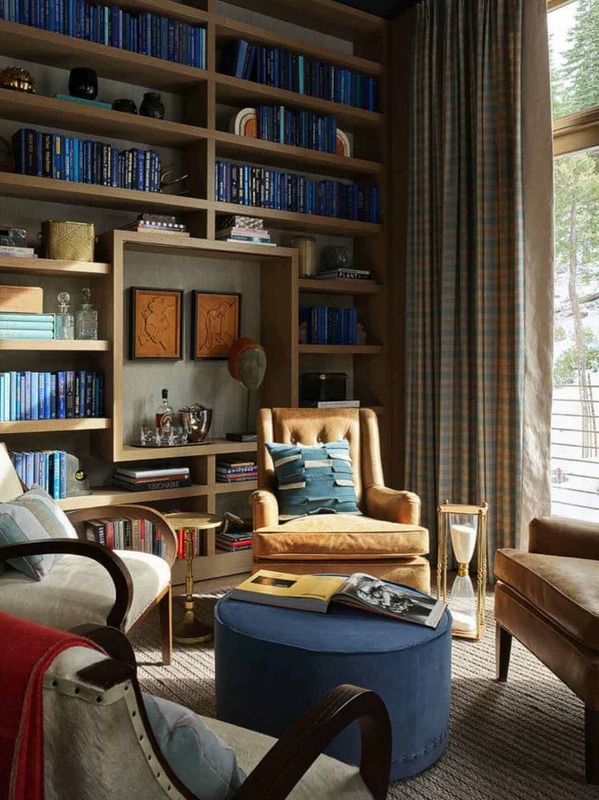 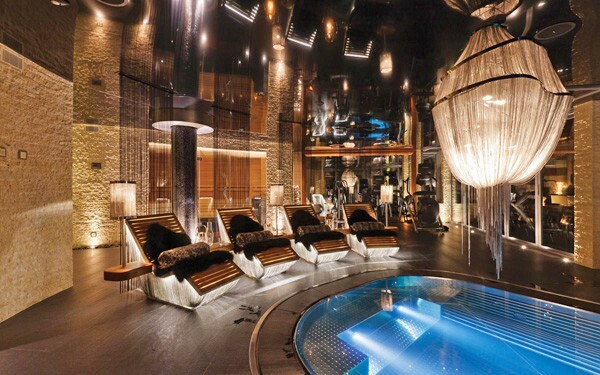 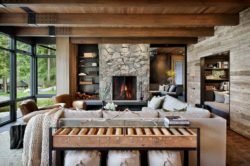 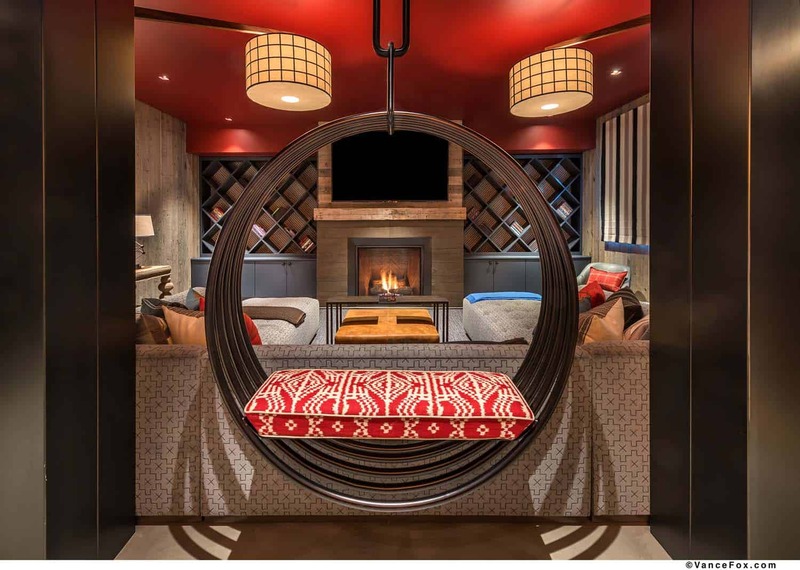 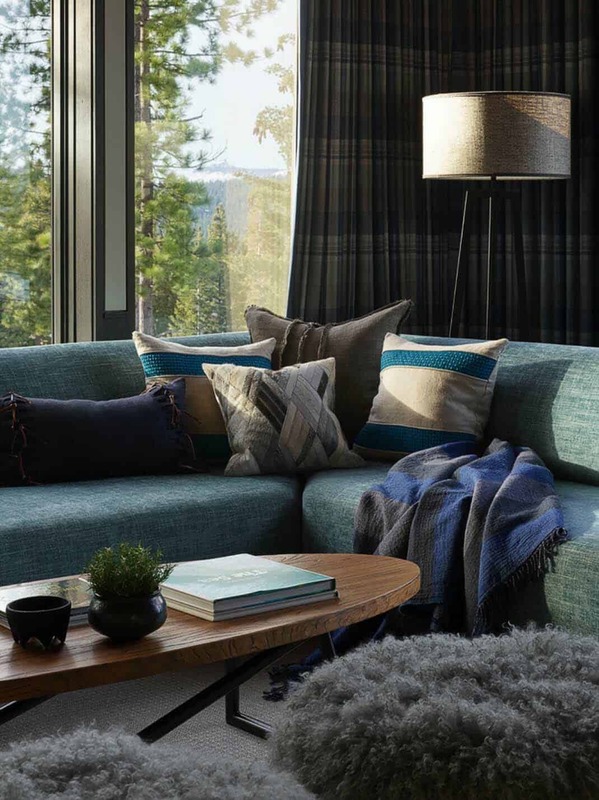 What We Love: This fabulous mountain retreat offers plenty of warmth and comfort thanks to the heavy use of wood, stone and inviting furnishings. 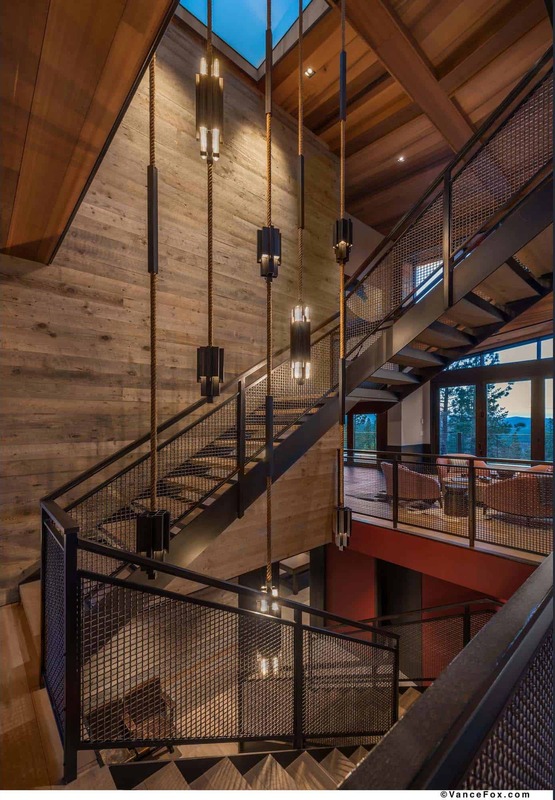 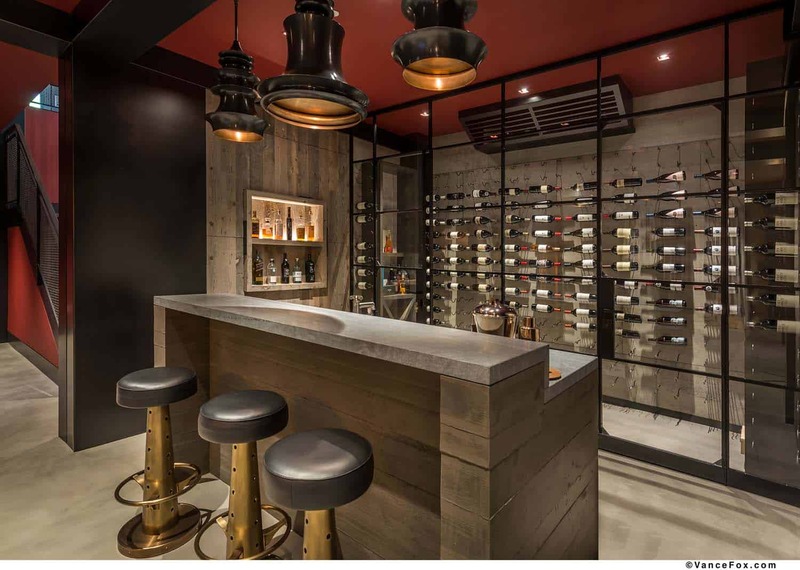 From the moment of entry into this stunning home, you are greeted by a large door that opens to view a dramatic steel staircase. 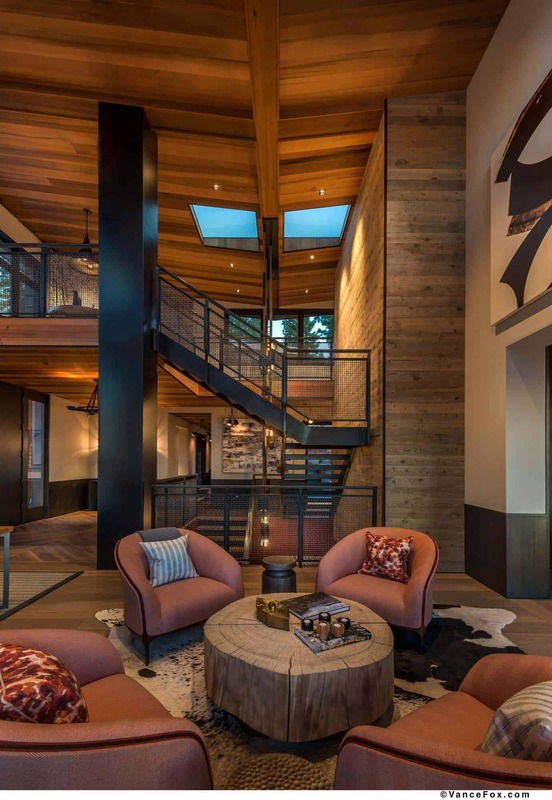 Bright and airy living spaces and cozy textures makes this home the ultimate ski retreat… Readers, please share with us what details in this home most impresses you and why in the Comments below! 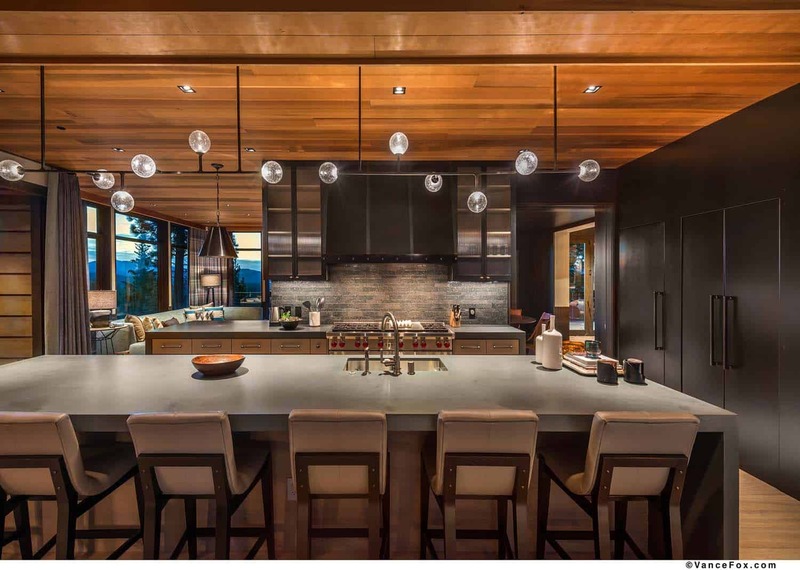 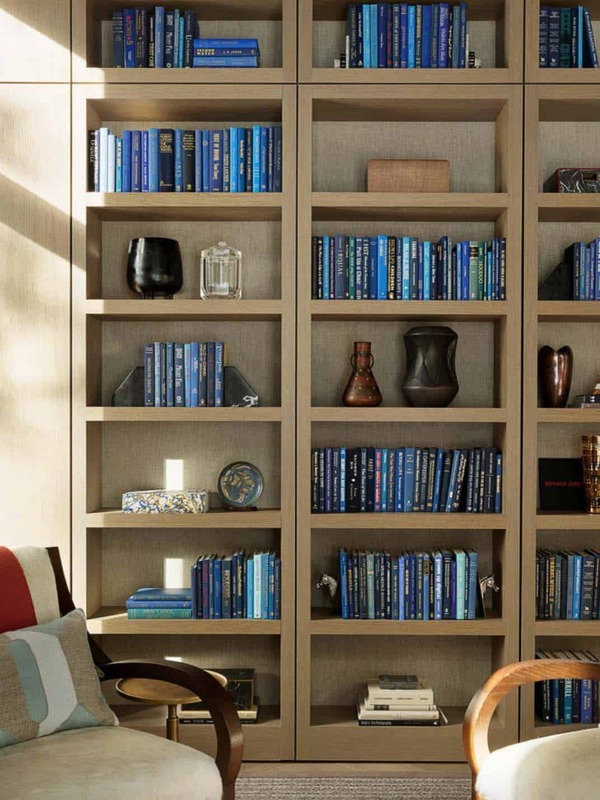 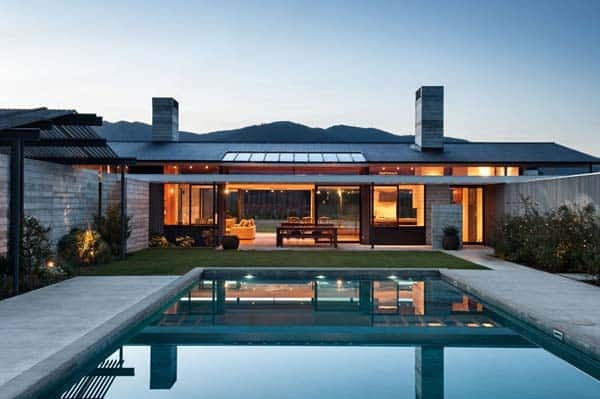 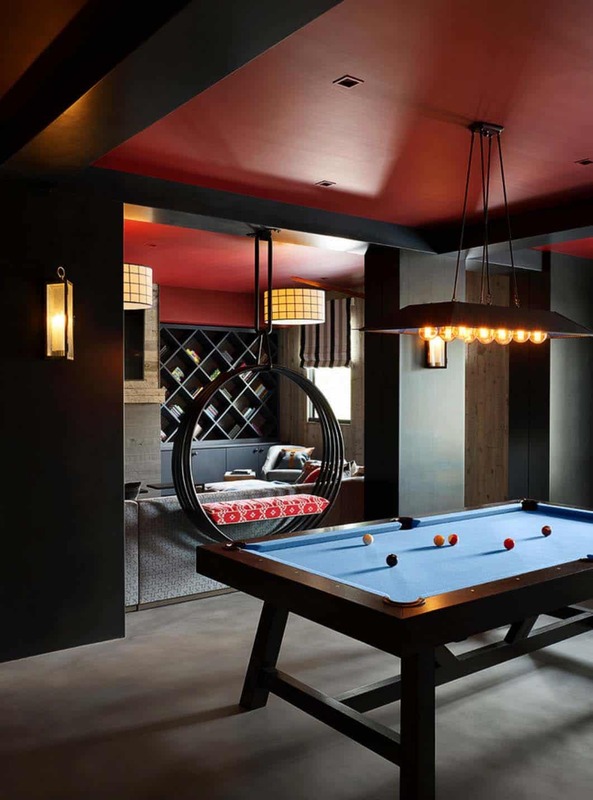 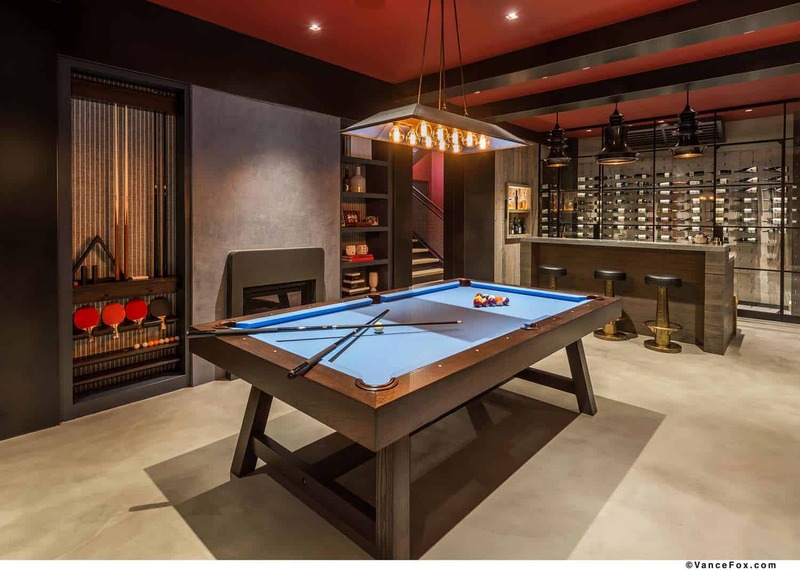 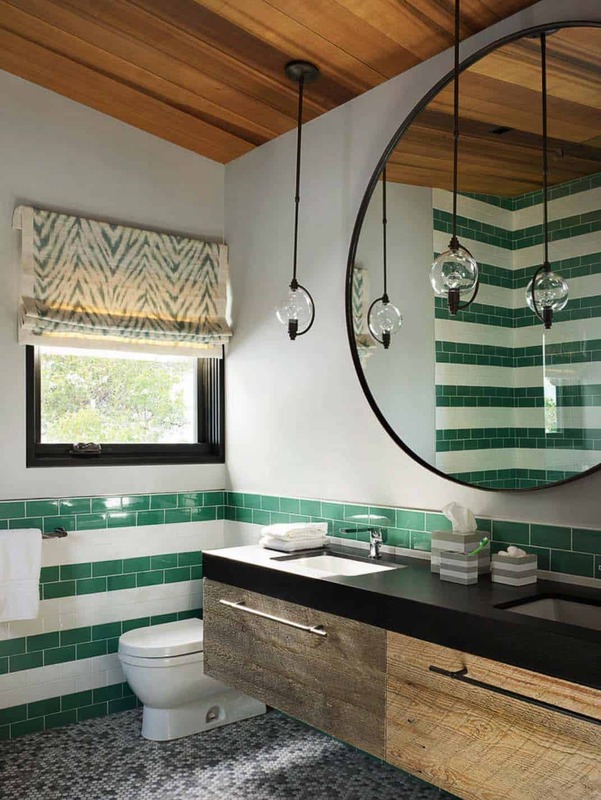 Note: Have a look at another incredible home tour that we have featured here on One Kindesign from the portfolio of interior design studio JayJeffers: Impressive modern home with dramatic views of the San Francisco Bay. 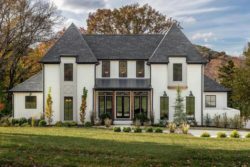 is it possible to see a floor plan of this home?